Enjoy the Sterling Pointe life-style you deserve at a cost you can afford. Every part of Sterling Pointe was properly designed with our resident's requires in mind. 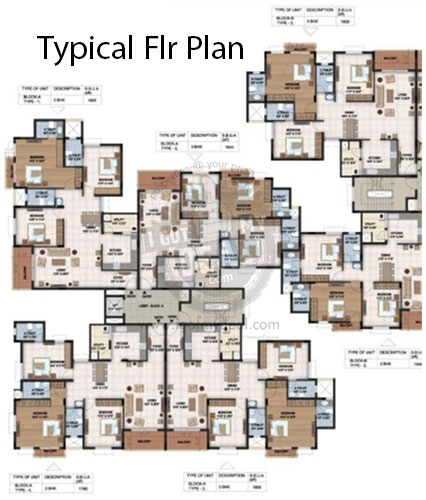 Choose from our 3 bedroom flats with starting area from 1640 Sq.ft To 1805 Sq.ft. Super Builtup area. We have lush, maintained landscaping with wonderful trees throughout our group. Located within minutes of main entry, purchasing, healthcare, educational institutions and many other great amenities that Sterling Pointe has to provide. It offers 1 Towers of 5 Floors that consist of configuration options. As of now this property is pre launch project . The project is well organized with all modern day features and 24 x 7 security service to achieve the needs of the people. Hebbal is an future locality in Bangalore. 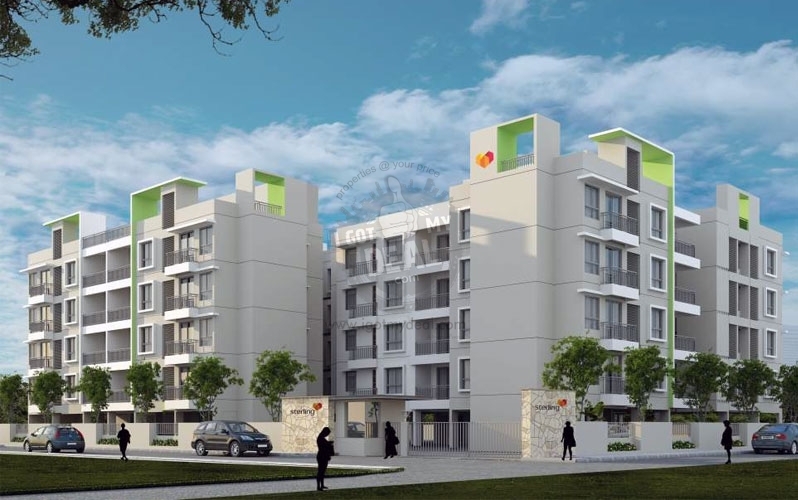 Nagavara, Amrutahalli, HBR Layout, Bhoopasandra Main Road are the nearby places to Hebbal. Hebbal and Kodigehalli are the regional railway stations to Hebbal. However, Bangalore CY Junction Railway Station is the main railway station which is at a short length. The nearby airport terminal to Hebbal is Bengaluru Worldwide Airport which is situated at a short drive. 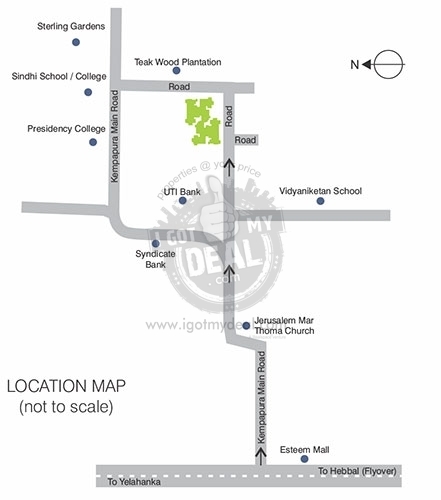 Lumbini Garden/ Veerannanapalya Bus Station, Coffee Board Layout Bus Station, Vishwanatha Nagenahalli Bus Stop, Mariyappanapalya, Bellary Road, Bus Stop, Hebbal Kempapura Bus Stop are the nearby Local Bus Stops to Hebbal. Sterling Developers Pvt Ltd is a Bangalore-based Real Estate Development Company, established in 1983. For over three years, Sterling has been a respected name behind some of the top properties in Bangalore. A status driven by a viewpoint that puts you, the house owner at the heart of every Sterling asset. Over the years, Sterling Developers has developed more than 5 million sq.ft of housing and industrial property space in Bangalore, steered to brilliance by Owner & Chairman Ramani Sastri and Joint Managing Director Shankar Sastri, backed by the very specialist team at Sterling. * RCC framed structure (Seismic Zone II) with solid block masonry walls. * 20mm thick granite counter - Jet black. * Single bowl & single drain board of reputed make. * Granite wash basin counter in Master Bedroom toilet. * Wash basin with Mixer (Hot & Cold) in all toilets, except Maid’s Room toilet. * Wash basins, EWCs and overhead shower units of reputed make in all toilets. * CPVC lines for water supply. * Internal Wall & Ceilings: Acrylic Distemper. * External Finish: Texture Paint. * Basement: White-wash for ceiling. * UPVC Sliding Windows - 3 Track framed windows with clear glass and provision for mosquito mesh (mosquitomesh at additional cost). * Enamel painted, at additional cost. * Main Door: 7’ feet high opening with pre moulded flush shutter and frame in wood, polished on both sides. * Other Internal Doors: 7’ feet with wooden frames and flush shutters. * Toilet Doors: 7 feet with wooden frame. * External Doors: UPVC frames and sliding shutters for all external doors.